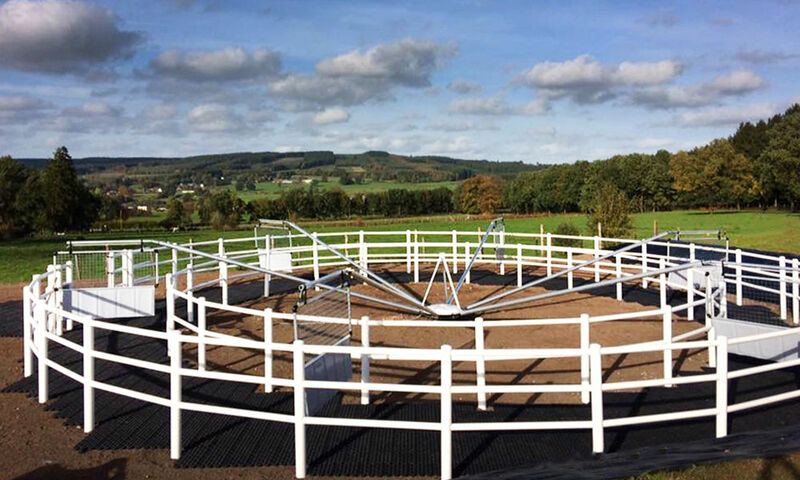 The T&T fence is made of white polypropylene tubes using a high-performance material that has absolutely unique characteristics: it is resistant to atmospheric agents and UV rays, it has a high durability, excellent resistance, does not splinter, does not deform and does not require particular maintenance, allowing significant savings in economic terms. 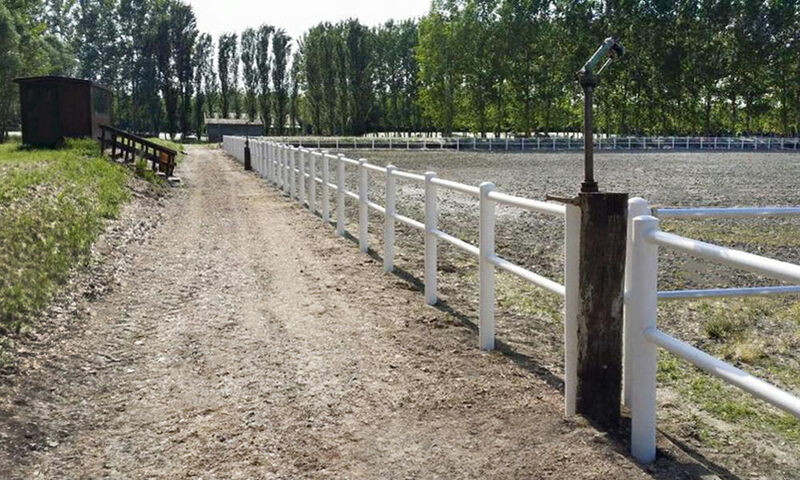 Particularly suitable for horses, the fence is able to absorb kicks and pushes without being damaged and without causing injuries to animals. TheT&T fence can be made with two or three horizontal traverses. The length of the traverse is 3470 mm, the inner diameter is 67 mm and the outer diameter is 75 mm (thickness 4 mm). 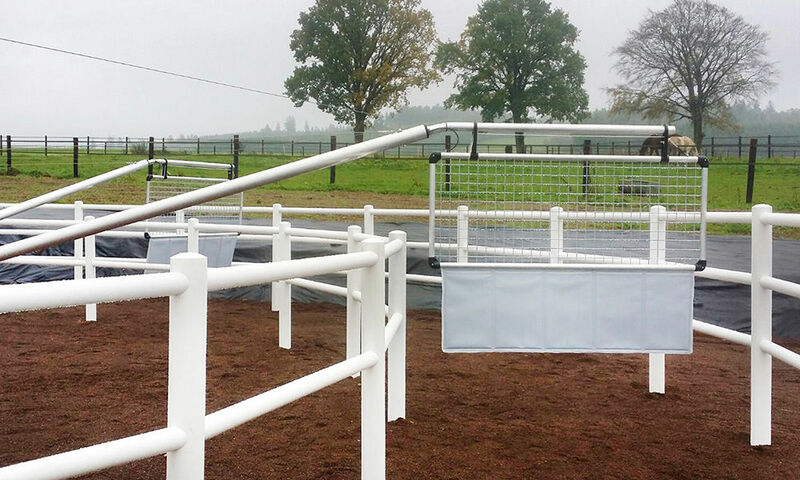 The upright is 1400 mm long for the 2-traverses fence and 1600 mm long for the three-traverses fence. 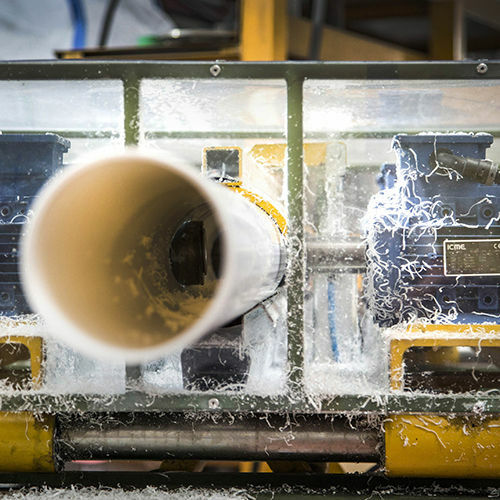 With an internal diameter of 116 mm and an external diameter of 124 mm (thickness 4 mm), the upright is supplied already drilled and complete with steel tip, bushing for fixing to the ground and white polypropylene lid. Normally the distance between uprightsis 1.75 meters. i.e. the elaboration and processing of data by T&T Srl for marketing purposes referred to under point b) of these guidelines, via the foreseen processing methods, i.e. paper-based, via automated and telematic means, by ordinary or electronic mail, telephone and any other computerised means. i.e. the elaboration and processing of data by T&T Srl for the purposes of profiling referred to in point c) of these guidelines, relating - by way of example and not exhaustive - to consumption and other habits, behaviour, consultation and use of the website. i.e. the communication of data to companies connected to T&T Srl, as well as to partner companies of the same, which will be able to process them for the marketing purposes referred to in point d) of these guidelines, via the foreseen processing methods, i.e. paper-based, via automated and telematic means, by ordinary or electronic mail, telephone and any other computerised means.